The Official Power Morphicon is right around the corner – in less than 6 months – and the guest list continues to grow! Check out the new list of guests announced including the first ever appearance of the Power Rangers Ninja Storm Crimson Thunder Ranger! 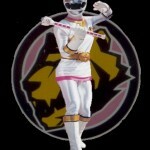 The Official Power Morphicon takes place August 17th through the 19th in Anaheim, California. Tickets are on sale now – click here to register. We’ll see you at the show! The fourth Official Power Morphicon is only a month and a half away and the guest list keeps on growing. Updated to the site yesterday are the following guests! If you haven’t registered yet, time is running out! On July 31st, registration for the show will end. Click here to begin your registration process! It’s also been stated that the special guests availability will be updated closer to the convention, as not every guest listed will be available for the entire show. Currently, only Rhett Fisher is listed with limited availability (Friday only), but we’ve also learned that Jessica Rey will only be available on Saturday. However, this information can change at any given time (if projects come up, a role is landed in a film or feature, etc.) so we’ll have to be patient while the updates are listed. We’re less than four months away from the Official Power Morphicon Convention. And as to their usual trend, the folks at the convention have updated with some new guests – 12 to be exact – and the unfortunate news that one guest has had to cancel. Your newest additions to the guest list are as follows! Sadly for fans of Power Rangers Lost Galaxy, the actress Cerina Vincent (“Maya”, Power Rangers Lost Galaxy Yellow Ranger) is no longer able to attend the convention this year. If you haven’t registered yet for the convention … WHAT ARE YOU WAITING FOR? This year is shaping up to be the BIGGEST Power Morphicon of all time! 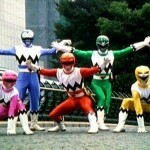 And we’re only missing a few Red Rangers to have the most amazing Forever Red panel in the history of Power Rangers. Head on over to the Official Power Morphicon site and get your registration in. TokuNation.com is proud to state we will be in attendance as a platinum member to give you the best coverage we possibly can! See you at the show! 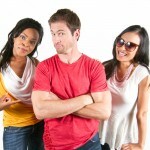 Some in the Power Rangers fan community were aware that three previous actors – Jason Faunt, Nakia Burrise, and Jessica Rey – had teamed together to be part of an internet series titled No Nerds Here. The first episode has premiered on YouTube! The pilot episode has Jessica Rey coming to the realization that she’s not quite the star she believes she is, and her agent ends up booking her as a guest at a show titled CharacterCon celebrating the show she used to be on titled Mighty Rangers (an obviously play on Power Rangers … her season is even titled Wilderness Force, a play on Wild Force). The show is very similar to the once-popular show The Office, in which the camera cuts to one-on-one conversations with our actors periodically throughout the show. All in all, the pilot episode was pretty entertaining, especially if you’ve gone to conventions and face-palmed at some of the questions that the guests are bombarded with, as the episode pays proper homage to those types of awkward situations. There’s even an implied website/message board/fan club feud between two different groups, in reference to the numerous communities dedicated to Power Rangers. Check it out below! Please leave your thoughts on the pilot episode in our discussion thread! Are you looking forward to a second episode? Who would you like to see featured in it? Post your thoughts and discuss away! Congrats to the crew who put the episode together! Sadly, Alyssa will not be returning! I sincerely wanted to, but unfortunately it did not work out (and has nothing to do with $). Time will tell if all of the Wild Force cast has the same reaction.